Well-known for its hard finishing capabilities, Nixon Gear–a member company of Gear Motions–outlines its evolution toward earning a reputation for excellence. 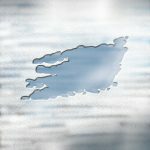 How does a small private job shop work its way into a premier hard finishing shop? As Nixon Gear approaches its 90th birthday–with 36 of those years focused on gear grinding–it just may have become one. 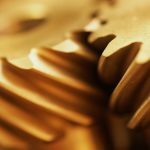 The following is the history of gear grinding at Nixon Gear and some of what we’ve experienced and learned along the way. In 1920, George Nixon founded Nixon Broach and Tool Company with the intention of selling general machining and special tooling. The company drifted into gear making, and by 1924 it had changed its name to Nixon Gear and Machine. Beginning in a small building, in what was then central Syracuse, New York, the company prospered and eventually built three more buildings, with the latest climate-controlled building completed in 1992. 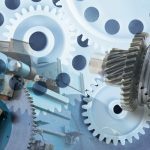 The late sixties and early seventies saw a major shift in the business machine segment of the gear market, from cut steel gears to powdered metal and plastics. The company struggled to turn around, and in 1977 Gear Motions purchased the assets of the nearly defunct company. Nixon Gear had already bought its first gear grinder in 1969, and the new ownership decided that focusing on this market–high precision and high speed ground gears–and investing heavily in state of the art equipment would become the new strategy. Why did we decide to grind gear teeth? 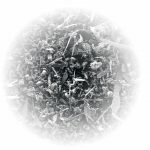 There are many benefits to grinding, including improved quality and finishes resulting in lower noise levels and longer life cycles. 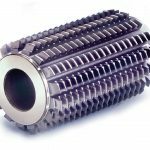 The quality attained by pregrind hobbing, heat treating, and gear grinding is markedly improved over finish hobbing (or hob and shaving) and heat treating. 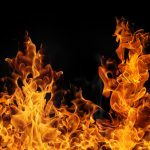 While considering all of the values of a heat treated gear, one must also consider the drawbacks. A gear that is heat treated distorts. This distortion may decrease the quality level of the gear elements–lead, profile, runout–by one to three levels. Therein lies the beauty of grinding: Not only can the gear be restored to pre heat-treated quality levels, it can also be improved to several quality levels higher. We believe the decision to focus on ground gears was a good one. 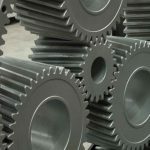 Since then the company has grown about five times, and in 2005 expects to ship well over $10 million in gears, those primarily being high speed hardened and ground gears. Our early gear grinders–although a step up in quality from hobbing and shaving–required long setups. One of the reasons for this was that threaded grind wheel dressing was time consuming. A single point tool was used, therefore the accuracy of the profile form on the wheel was directly affected by the number of passes taken. The company bought Reishauer AZAs in the early eighties, and with these new machines a newer technology in dressing emerged. Instead of using a single point tool, the machines were equipped with a motorized dresser utilizing two diamond coated discs–one disc for each tooth flank. Dresser setup and wheel dressing times dropped from hours to minutes. In 1987 it bought one of the first electronic threaded wheel grinders in the country: the Reishauer RZ300E. This early electronic machine was instrumental in solving gear noise problems for high speed gear sets, particularly air compression applications, which later led the company into vacuum, air conditioning, and super charger applications. All require significant quality and profile geometry control for noise reduction. 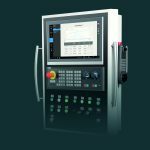 The advantages of this machine over its predecessors included electronic indexing–index change gears were no longer required–and the ability to produce AGMA Q15 quality levels. In the early days the company had a solid foundation in the Mil Standards from their IBM and Xerox days. By adding SPC in the early nineties and putting the processes and procedures in place to achieve ISO 9002 registration in 1996 (9001:2000 in 2002), the company continued to press the quality envelope while adding advanced technology. Since 1992 Nixon has spent more than $12 million on new equipment and infrastructure, with $3 million of that coming in the last two years for what might be one of the most modern hard gear finishing departments in the country. Gear grinders purchased during this period were Reishauer’s Rz301s, Rz362A, Rz400, and Gleason’s Tag400. These machines ground gears that approached–if not equaled–the quality level of the Rz300E while achieving two to three times the productivity. Grind wheel technology also improved during this period, allowing us to grind faster while avoiding grinding burns. In 2002 the company found itself involved in two major programs, each requiring significant process capability. 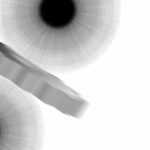 Because of an earlier investment in automation for hobbing the company understood that automation not only adds cost reduction possibilities, but also potentially improves process capability over running manually loaded machines with many different operators. Because of the volumes of gears we were grinding, and because of the positive cost and quality results of our automation, the decision was clear that we would buy our first automated gear grinder. Our choice for automation would be a Fanuc M-710iB45 robot. In our business we see a wide variety of sizes and shapes of gears, and because programs may come and go, we felt that we would have the greatest flexibility for any program with minimal changeover cost by going robotic. One of the first noticeable improvements using robotics in grinding, and particularly on the smaller gears, was the average floor-to-floor time. We saw about a 2-3:1 increase in pieces per hour produced. Some was due to reduced grinding time, but much of the gain was from reduced change time and increased efficiency. Robots don’t get tired, and they work through lunch. Of course, this allows our people to become cell managers rather than operators. Their energies are saved to come up with creative ways to improve processes and reduce costs. We also realized the same productivity improvement on larger gears. In these cases, machine time would be a larger factor. Part of the discipline that makes robotics work and achieve another level of quality is workholding that will work the same, time after time, every time. Company engineers worked with Matrix Design and Reishauer to develop tooling for the robot and machine. Because the machine and the robot had to handle parts from 1-13″, special consideration was given to the design phase of workholding tooling. Within 18 months of full operation of the first robotic, hard finish cell capacity was already being strained as workloads increased month after month. It was time to make another big decision. We considered temporary used equipment, job-out work, or stepping up to another $1.5-million robotic grinding cell. In the end it was an easy decision. Only by holding fast to the strategy of core competency investments could the company continue to improve the process. And improve it did, although at first it seemed like it would be hard to improve much. The same gear grinder model would be used, and after much discussion about a one size smaller robot, it was decided to stay with “greater flexibility” for part handling, and the same 45Kg (99lb) robot was ordered. What changed the most was a new parts handling system that held vastly greater numbers of parts in significantly less floor space. Denser parts handling also meant we could run our first “lights out” shift; a concept we could have only dreamed about in 1969. Let’s not forget that there are large parts, small volume, and prototyping needs out there, so in 2001 Nixon’s sister plant, Oliver Gear, installed the H–fler 700. This very flexible, vitrified wheel, form gear grinder with on-board gauging has been the answer for developing special profiles for customers who want to send parts back and forth for development during the early design phases of a project. 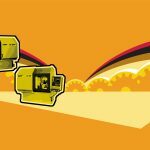 The H–fler sets up in a flash and can develop custom customer profiles quickly without having to leave the machine. Having a “development component” in the hard finishing service has been an important part of the equation for Nixon customers. 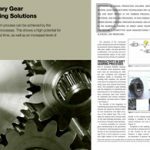 Even existing customers with mature designs can experiment with gear geometry for very minimal tooling and setup costs. Of course, there are those customers that sometimes design parts that are just a little too big, or need special tooth forms or pitches. This is not a problem for this form wheel machine. It can take a standard wheel and have it dressed and ready to go in under 30 minutes, normally. Getting good hard finished gears means producing good blanks. All the technology in the world is wasted without careful, precise development upstream. 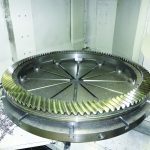 Traditionally, ground gears will get some combination of bore grinding, OD and/or surface grinding to true up faces and insure that the final product runs true. 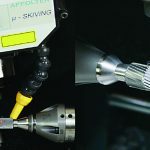 Over the last five or 10 years Nixon has developed hard finishing on its better CNC lathes and special-purpose boring machines using carbide and ceramic tooling. 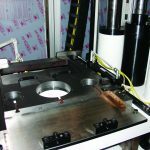 One of the problems we’ve faced in these machines was holding the tighter bore tolerances–not because the machines weren’t capable so much as they didn’t have the resolution for the fine-size adjustments needed. With the introduction of robotic gear grinders it soon became apparent that the process of hard finishing could be greatly improved with a more flexible and dedicated hard finishing machine. The company chose a Hardinge super-precision lathe to feed both of the robotic gear finishing cells. 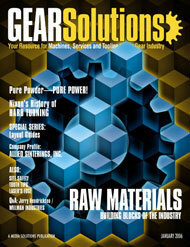 As we have discussed, gear grinding has come a long way since we obtained our first grinder in 1969. Setup and cycle times have gotten much shorter. 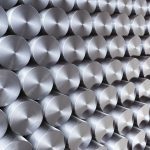 Quality levels attainable in AGMA 200-A88 terms have reached Q15 as needed, and Q13 or higher in production. 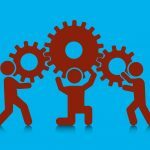 Productivity and quality have been enhanced by the use of automation. Improvement in accuracy and repeatability of fixtures, and the development of expendable tooling, including gear grind wheels, add increased “process capability.” Meanwhile, microcrystalline ceramic abrasive wheels help control the delicate balance between material removal and high surface finishes while controlling grinding burns. 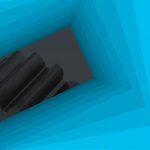 The improvements in time, quality, and costs we’ve mentioned have made grinding a practical, cost-effective process when compared to finish hobbing (or hobbing and shaping), particularly when heat treating is required. 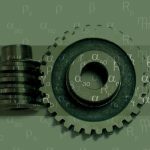 What is the future of gear grinding? Whatever it turns out to be, Nixon Gear will be at the leading edge of developing technologies. is president, and Ron Wright is development engineering manager at Nixon Gear--a member company of Gear Motions. To learn more call (315) 488-0100 or go to [www.gearmotions.com].